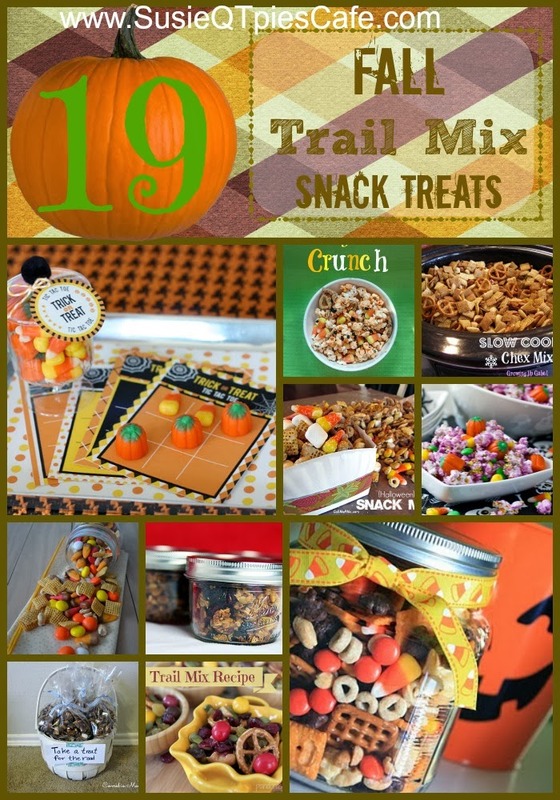 I'm always looking for easy to make and take snack to our Fall parties. How about you? The best fall recipes and snacks always seem to be the ones that are both sweet and salty with some added crunch. 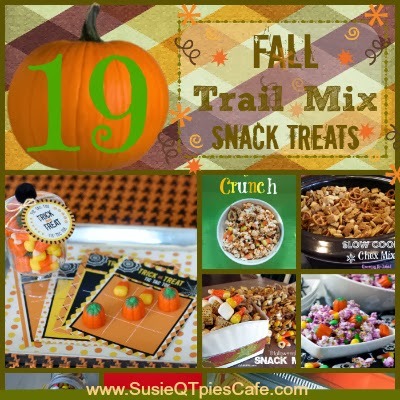 Here is a collection of 19 fall trail mix and snack treats from some of my favorite blogs as well as a few of my own. If you have any on your blog, leave the link below so that I can check them out, too! I'm always looking for more fall pumpkin recipes, too! When you need a snack what do you grab? Sweet? Salty? Sweet & salty? Salty and Spicy? I'd love to know! I do give a woot! I couldn't resist using this owl for my post. Here is our Menu Planning Monday. I hope that you find it helpful. Feel free to go through the recipe box for other options. IF you have recipes on your blog, menu plans or anything food related, pleas share below! I'm thrilled that fall is just about here and we have already started having cooler weather. I don't care much for super cold weather but I love when the evenings cool for cookouts and bon fires. 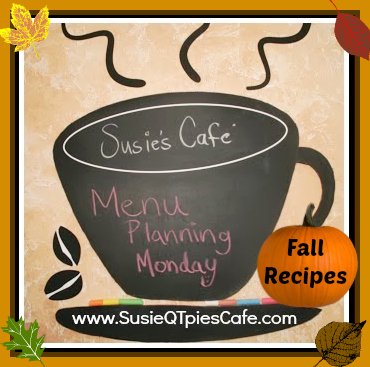 Dinner time menu planning becomes a tad easier in the fall, too! Weekend - Our Church Germanfest but you can check out the Yummy Fall Crockpot recipes! Dessert - For a fall party I'm picking something from the 15 Fall Pumpkin recipes. Most likely the pumpkin cheesecake. I've linked up at OrgJunkie's Menu Plan Monday link up. I'm holding off on my weekly link party until after the Holidays! I love your blog, but it has so many ads and graphics that it takes a while for it to load completely. Great collection, thanks for including my snack mix and craft.